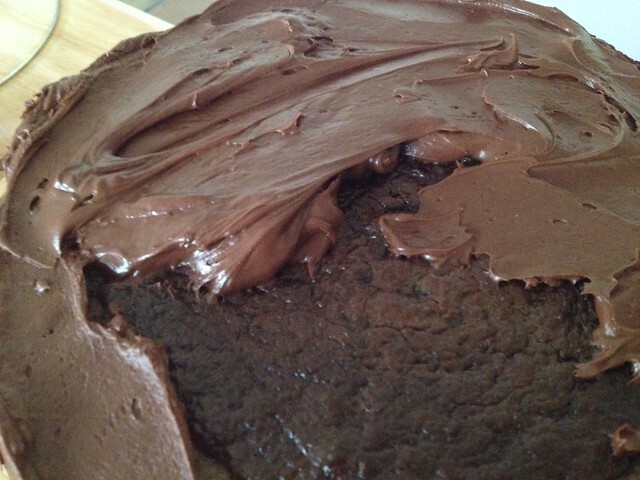 I decided to make a cake…chocolate cake…my motto…if it isn’t chocolate, why bother. Am I right? 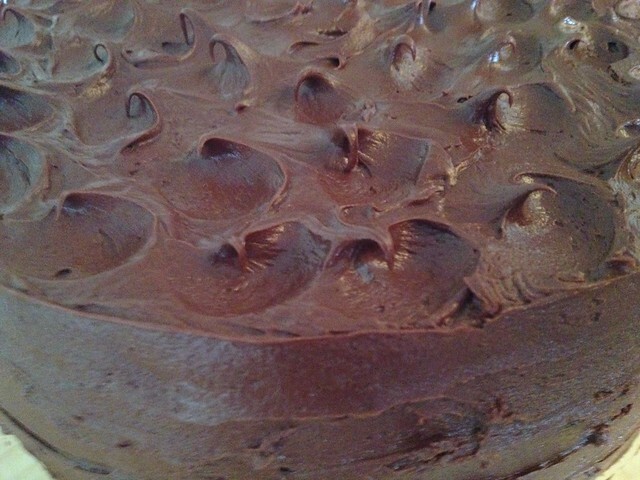 Anyhow…the cake was out of the oven with one layer on the cake plate and the other sitting on a cooling rack…well…cooling…when Mr. Gypsy walked into the kitchen and asked “What’s that?” I looked at him, stunned, and asked in return “What do you mean “what’s that”? (I mean I knew it was a cake. Didn’t everybody?) To which he asked again… “What is it?” To which I replied… “It’s a cake!” Apparently, in it’s current state, it was unrecognizable. Who knew? There are times when we all have a hard time recognizing who God is making us into. The “ingredients” are there…we love Him, are faithful to Him, spend time in prayer, study and fellowship with Him but we seem to be caught in a trial that goes on longer than the the I-90. James 1:3-5(AMP) Consider it a sheer gift, friends, when tests and challenges come at you from all sides. You know that under pressure, your faith-life is forced into the open and shows its true colors. So don’t try to get out of anything prematurely. Let it do its work so you become mature and well-developed, not deficient in any way. Sometimes we simply need to recognize God isn’t done with the current lesson and we need to let Him finish the work He’s started. Philippians 1:6(AMP) And I am convinced and sure of this very thing, that He Who began a good work in you will continue until the day of Jesus Christ [right up to the time of His return], developing [that good work] and perfecting and bringing it to full completion in you. Once everything comes together, often in hindsight, we can see how God was leading. We understand the what’s/whys of His undertaking and it is always for our completion and benefit. I like what you shared here. Yes, God looks upon us in our final form, sons and daughters of His. He knows our end from the beginning. Who can resist Him? Thank God it is not by our might or power that we are being transformed into the image of His Son, but by His mighty outstretched arm. Oh yes, for sure. Most of my loooong trial in my life has been along or at one end of I-90. We are currently at mile marker 314 in a beautiful town on the lake and I see the trials these days as having a wonderful purpose and see them more objectively than subjectively. Thanks for sharing your thoughts and discoveries on here. Thank’s for your kind words. Trials do indeed have a purpose. The difficulty is in getting to the other side of them.